Social security disability (SSD) is designed to financially assist those whose disabilities prevent them from working. In our professional opinion, we believe that hiring a social security disability attorney is a sound legal decision that can only improve your case's outcome. If you’re still unsure whether or not hiring a disability lawyer is necessary, ask yourself if you’re prepared to keep track of the paperwork, deadlines, and legal procedures to present your best case. In this blog post, we will go over the advantages of hiring an East Lansing attorney who will represent your best interests. You may be surprised by how an attorney can streamline the legal process so you can get the government assistance you need. Filing a social security disability claim can be a stressful and confusing process. Any little mistake or omission on your forms, or simply filling out the wrong forms, can put you at risk for being denied for social security disability. Let us help you sort through the paperwork. Disability lawyers are experienced in helping people receive the financial support they need for lost earning potential due to disability. We work strongly on your behalf to make sure you are given your deserved governmental assistance. Hiring an SSD attorney early in the process gives you an advantage in the court system. We make sure that you file your paperwork correctly and on-time to meet federal deadlines. If you have been previously denied for SSD, don't give up! Our experienced legal team of disability attorneys will make every attempt to win your case. We are always considerate of our clients and realize that having to file a request for a disability hearing can be a hassle. It is our goal to make the process as efficient and streamlined as possible. Social security disability benefits can be hard to attain without an attorney to guide you through the process. In general, it is good practice to hire a lawyer at the beginning of your case to avoid lengthy trial periods caused by an SSD denial. Our attorneys are familiar with social security disability law and with your unique circumstances. An aggressive social security lawyer will also be familiar with the styles of the administrative law judges in your area and will be able to adapt their legal strategies accordingly. With legal representation, you are more likely to win during a disability hearing. Our attorneys have developed expertise in the (sometimes confusing) regulations regarding SSD. For your case, we will compile the necessary information to present an organized depiction of the facts associated with your disability claim. This information includes your medical background, your current physical condition, and how it limits you during everyday activities. The Lansing social security disability lawyers at Foster & Harmon PC are dedicated to helping clients get the government assistance they need. 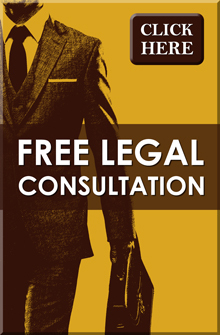 If you are interested in setting up your free legal consultation, give us a call at (517) 337-4600.